Is Potash Corporation of Saskatchewan (USA) (POT) A Good Stock To Buy? Before we spend many hours researching a company, we’d like to analyze what hedge funds and billionaire investors think of the stock first. We would like to do so because the successful investors’ consensus returns have been exceptional. The top 30 mid-cap stocks among the best performing hedge funds in our database yielded an average return of 18% during the last 12 months, outperforming the S&P 500 Index funds by double digits. Although the successful funds occasionally have their duds, such as SunEdison and Valeant, the hedge fund picks seem to work on average. In the following paragraphs, we find out what the billionaire investors and hedge funds think of Potash Corporation of Saskatchewan (USA) (NYSE:POT) . Potash Corporation of Saskatchewan (USA) (NYSE:POT) was in 18 hedge funds’ portfolios at the end of September. 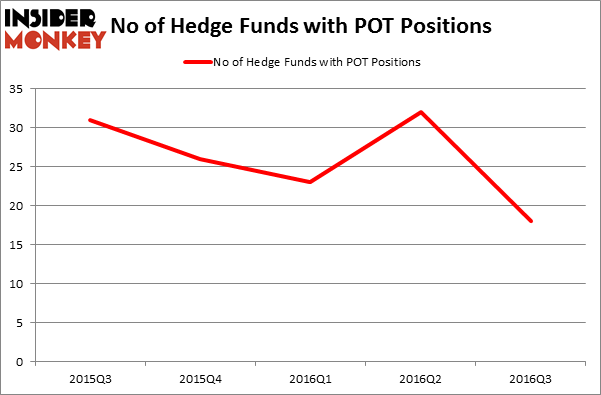 POT has experienced a decrease in hedge fund interest in recent months. There were 32 hedge funds in our database with POT holdings at the end of the previous quarter. The level and the change in hedge fund popularity aren’t the only variables you need to analyze to decipher hedge funds’ perspectives. A stock may witness a boost in popularity but it may still be less popular than similarly priced stocks. That’s why at the end of this article we will examine companies such as SBA Communications Corporation (NASDAQ:SBAC), McCormick & Company, Incorporated (NYSE:MKC), and Spectra Energy Partners, LP (NYSE:SEP) to gather more data points. 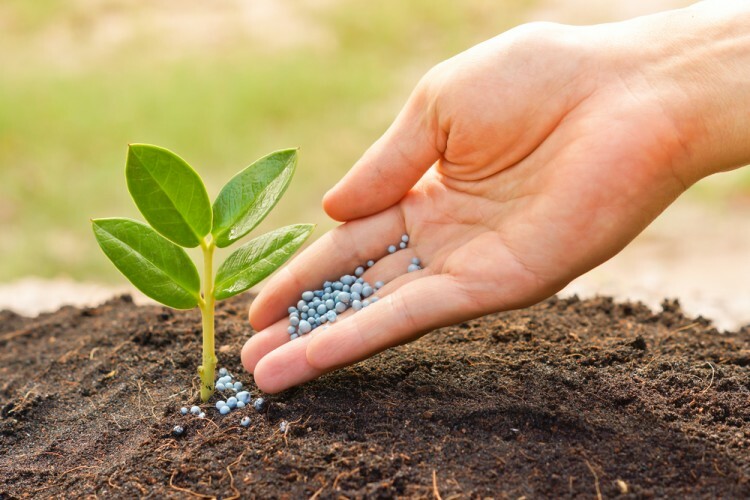 How are hedge funds trading Potash Corporation of Saskatchewan (USA) (NYSE:POT)? At the end of the third quarter, a total of 18 of the hedge funds tracked by Insider Monkey were bullish on this stock, a fall of 44% from the previous quarter. By comparison, 26 hedge funds held shares or bullish call options in POT heading into this year. So, let’s find out which hedge funds were among the top holders of the stock and which hedge funds were making big moves. According to publicly available hedge fund and institutional investor holdings data compiled by Insider Monkey, Peter Rathjens, Bruce Clarke and John Campbell’s Arrowstreet Capital holds the most valuable position in Potash Corporation of Saskatchewan (USA) (NYSE:POT) which has a $79.2 million position in the stock. The second largest stake is held by Anand Parekh’s Alyeska Investment Group which holds a $30.2 million position. Some other professional money managers that are bullish include Phill Gross and Robert Atchinson’s Adage Capital Management, D. E. Shaw’s D E Shaw and Steve Cohen’s Point72 Asset Management. We should note that none of these hedge funds are among our list of the 100 best performing hedge funds which is based on the performance of their 13F long positions in non-microcap stocks.